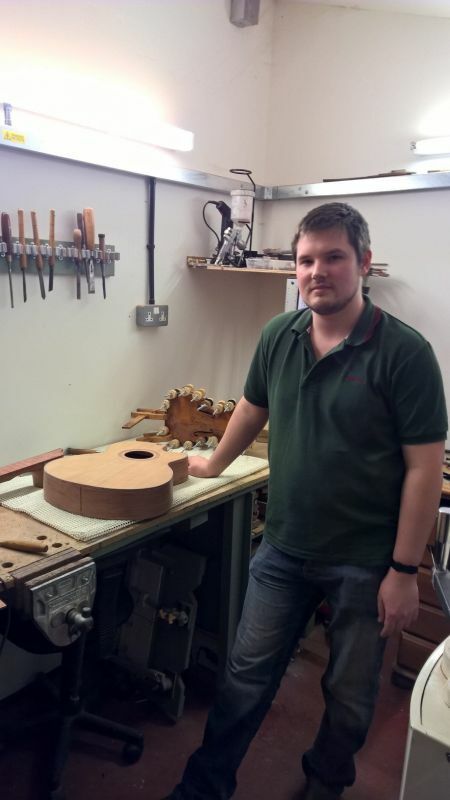 Based in Bridstow just outside Ross-on-Wye, I offer a repair and set-up service for guitars, mandolins and violins. I'm a graduate of London Metropolitan university with a BSc Hons in Musical instruments. I'm trained and equipped to perform structural repairs such a cracks, neck and fingerboard repairs on both the guitar and violin family, as well as all playing issues and cosmetic fixes including chip repairs. Between repairs, I restore antique violins as well as making acoustic guitars to my own design, some of which may be available in the shop from time to time.